I didn't even think about the fact that the wake-up time would be pretty normal for and East coaster over there. That's almost enough to make me sign up for a West Coast race on it's own! It was waking up at almost my regular time, since I come from Colorado and the time change is 1 hour. Much easier to get up in California! I have never done a Disney 10K but I do love the distance, it is one of my favorite to run on my own quite often. I would love to do a challenge weekend like that one of these days! I love the 10K as well, but I keep signing up for the longer half marathon distance. 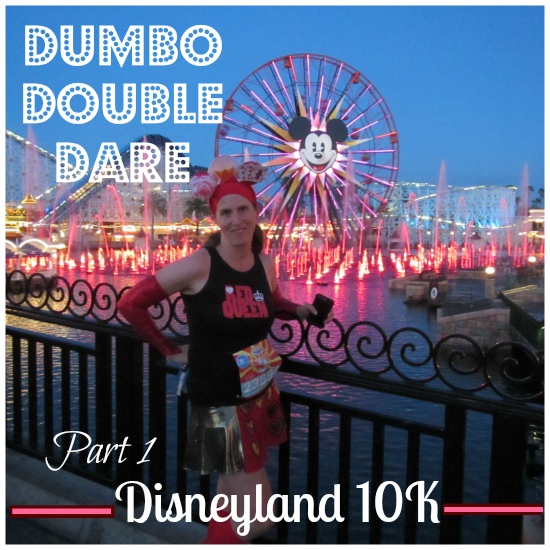 The DL 10K was so fun. I'm excited for the 10k I'm doing there in May. I'm looking forward to waking up early Pacific time but knowing my body clock will be two hours ahead. Those early wake up calls in Orlando are rough! The early wake up should be pretty easy with a two hour time difference. The ones in Orlando are brutal, especially coming from Mountain time. You will have a great time! The villians don't smile...but oh my goodness, it is hard not to smile in pictures. So much fun though! The picture with hook and smee is amazing! 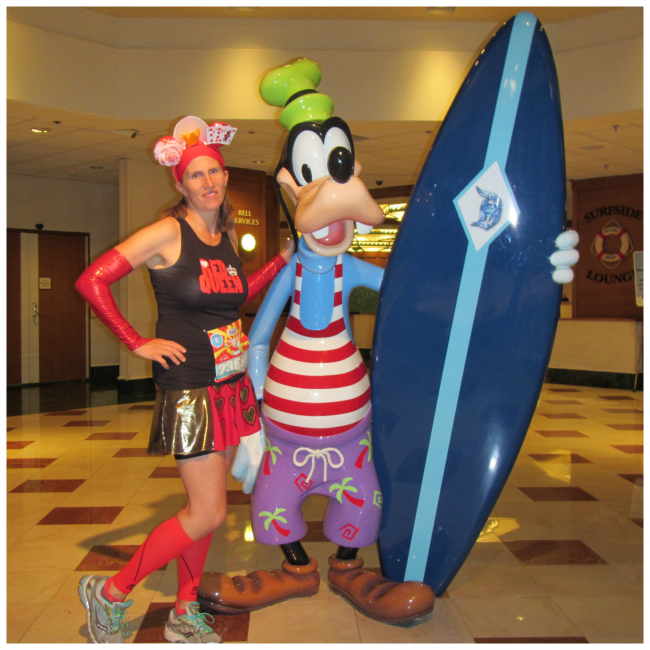 I really need to do a Disney race! 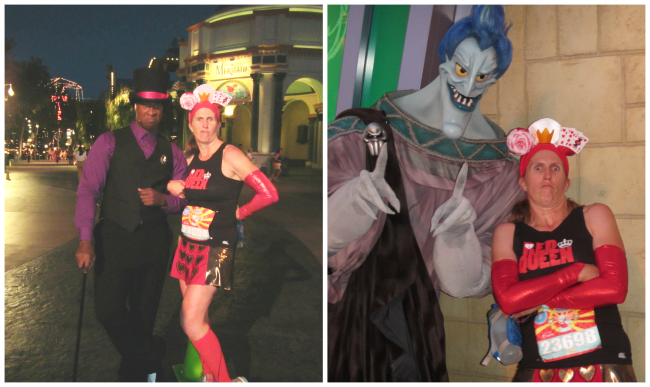 It was so fun not to smile and to try to get into the villain mindset!! I love all the DL races and this looked really fun. Lois you took some great character pics along the way! I think I prefer the DL races. You were right about the 10K. I'm so glad I listened and did the challenge. Disneyland races are great! I love her outfit. Thanks. I can't take credit for the outfit, I borrowed the entire costume from a friend. 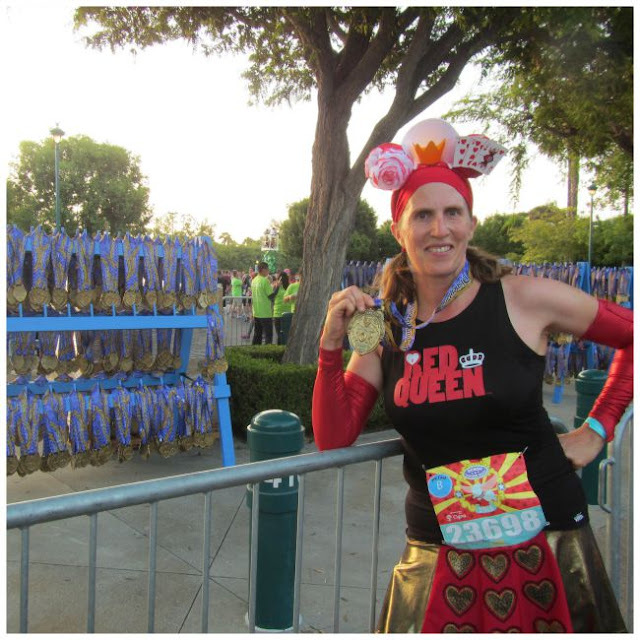 I did the half marathon but after reading everyone's 10k recaps I really wish I'd done that one too - I love seeing all the villains, and how much of the race was through the parks! 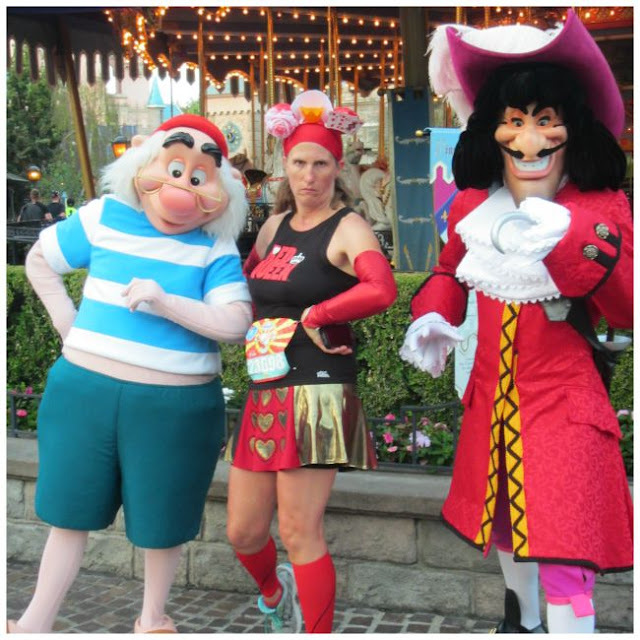 I love the 10K for photo opportunities, but I may be done with back to back races. Too many days going to bed early and getting up early. Love the costume. Super cute. And you stayed in character for all the pictures which is great!! I love Rundisney races. They're all so much fun!! Staying in character and not smiling for pictures wasn't easy, but it sure made it more fun! Looks like an awesome race Lois:) Fun too! Love your race outfit, so fun! The 10k is a fun distance, I don't run nearly enough of them they really are a blast! Love your pictures and looks like a great trip/race!!! I really need to get to Disney for more races. I wish I could get to more, too! I love your outfit, and that photo with Hades is awesome! !